This beautiful image captured by Focal Expressions was a tropical bouquet created for a recent wedding at The Danforth Plant and Science Center. One of the grooms in this wedding has a horticulture background. With his expertise, he was an asset in selection beautiful varieties to include in several aspects of the event. 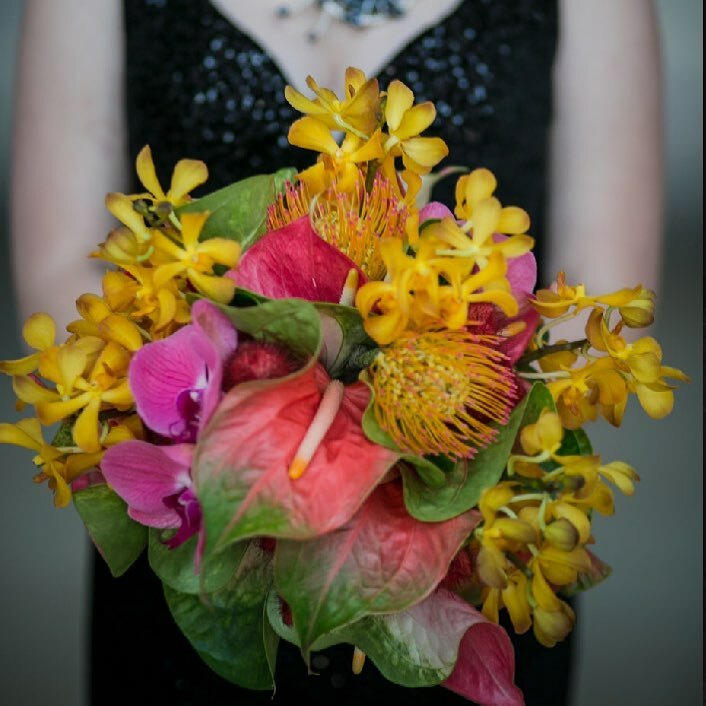 This tropical inspired bouquet turned out to be a fantastic color palette agains this black dress.